Adfly bypass is the need of those who are trying to access sites using adf.ly code. “Department of Telecommunication recruitment” of India has banned Adf.ly and many other sites. According to the DOTR, the sites they have blocked are spreading copyright content. They have not just blocked the torrent sites but also prevented the url shortener sites like Adf.ly. If you do not know what Adf.ly is then let me explain it first to you. 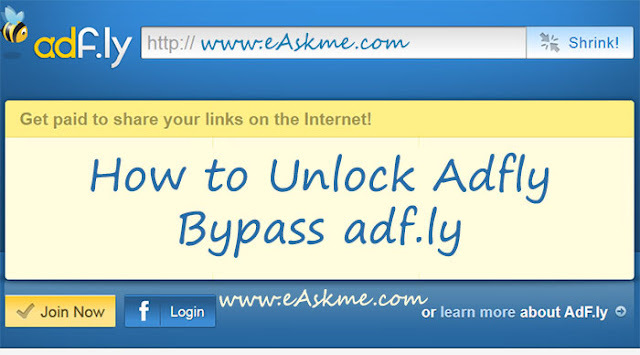 Adf.ly is an url shortener service. It is a top-rated service, but still, it is banned in many countries. This is the site that pays you money for adding it,s code on your site. You will earn money through url shortening. Whenever a visitor visits your site, the adf.ly code will direct him to an ad page; he has to skip the page after 5 seconds to visit your website. This method is an old method to make money, but still, it works. Adf.ly is blocked in some other countries also. But, there are reasons why people still want to access adf.ly. The main reason why people want to access adf.ly is that many sites use adf.ly code to earn revenue and you cannot see the content unless you visit the adf.ly page and wait for 5 seconds to skip the ad. You can only access the page if you can access the adf.ly. Also, many people who were making money by adding adf.ly code on their websites are not able to share their content in countries like India. Keeping that thing in mind Adf.ly has provided some solutions. This is the easiest way to bypass the adf.ly ban. All you need is to replace Adf.ly with ay.gy and the url will open. If you are visiting a page using Adf.ly code, then replace the Adf.ly with ay.gy in the address bar. You will land on the ad page. After 5 seconds skip the ad, and you will be on the page you want to visit. I have already shared that how you can boost internet speed by changing DNS. Right click on “Active Network Connection” and choose properties. Now you can open adf.ly. You may already know that you can easily access all the banned sites in your office or country by visiting a proxy server or website. You can use best VPN service. There are many proxy plugins available for Mozilla Firefox and Google Chrome. You can install them to bypass adfly and visit the site. These are few of the best ways to bypass adfly in India and other countries. Don't forget to like us on Facebook or subscribe eAskme newsletter to stay tuned with us.